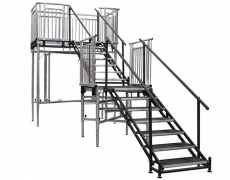 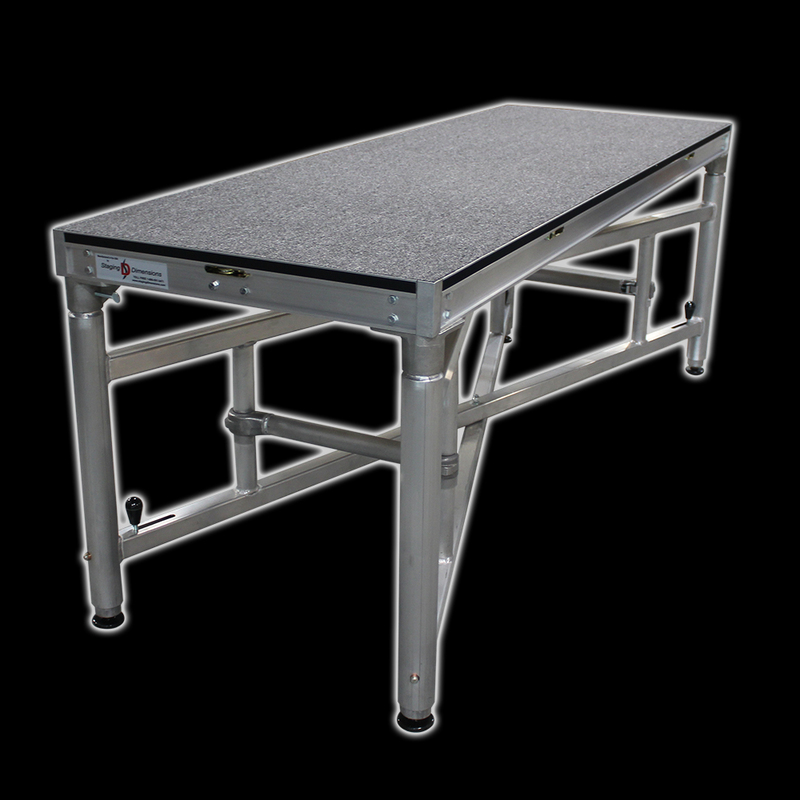 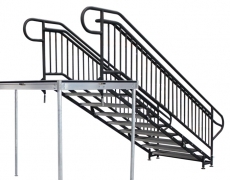 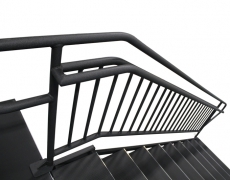 Adjustable height stair units have a steel and aluminum construction and allow our customers a variety of easily achieved height ranges in one stair unit. 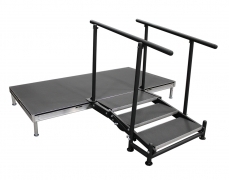 Height changes are accomplished by turning the comfort grip handles to adjust the run of the stair treads. 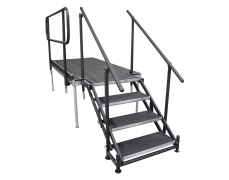 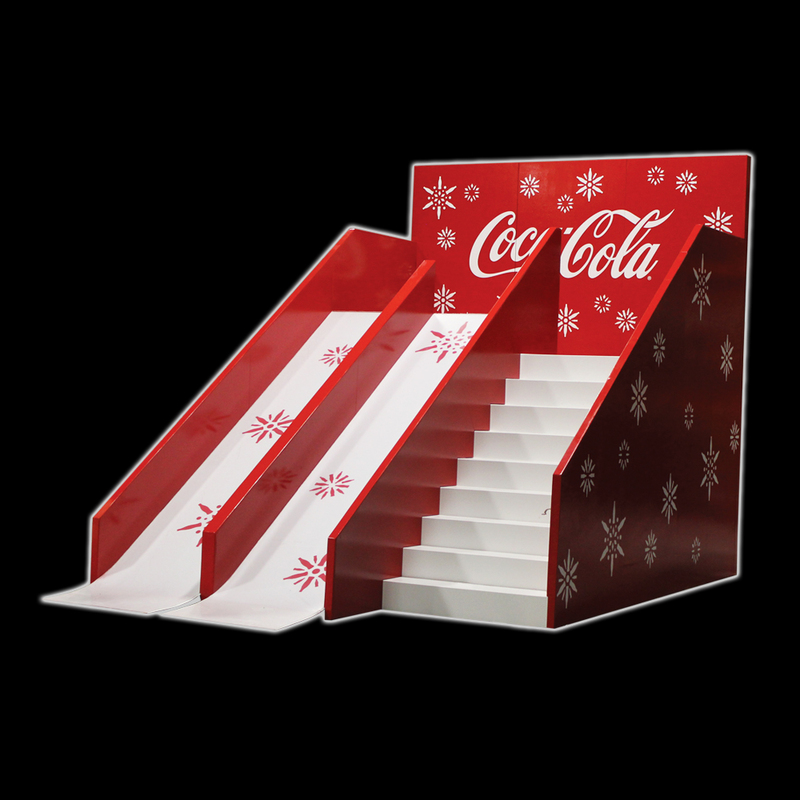 The adjustable high stair units require no tools for installation, have no loose parts, meet 150 lb. 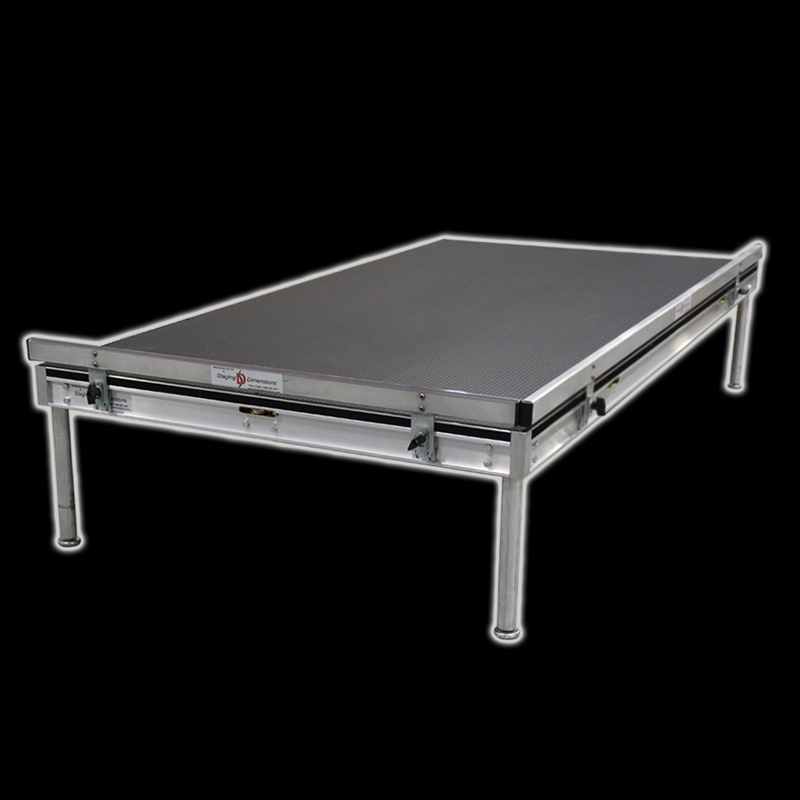 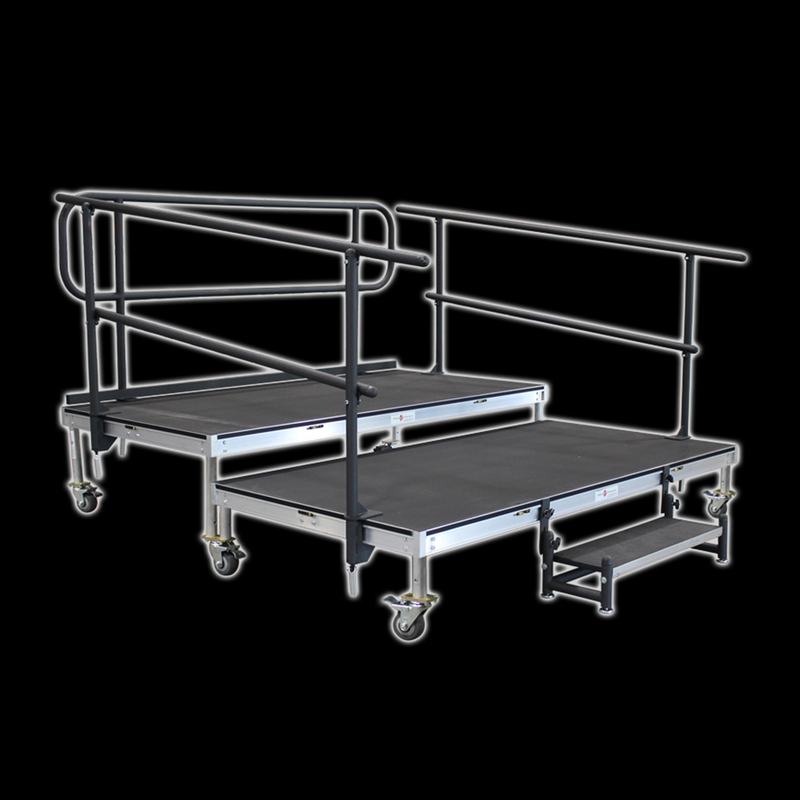 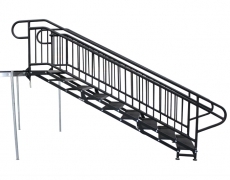 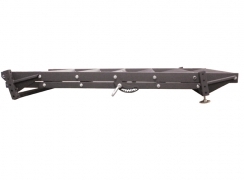 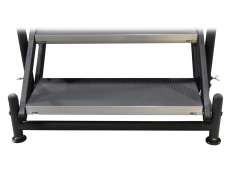 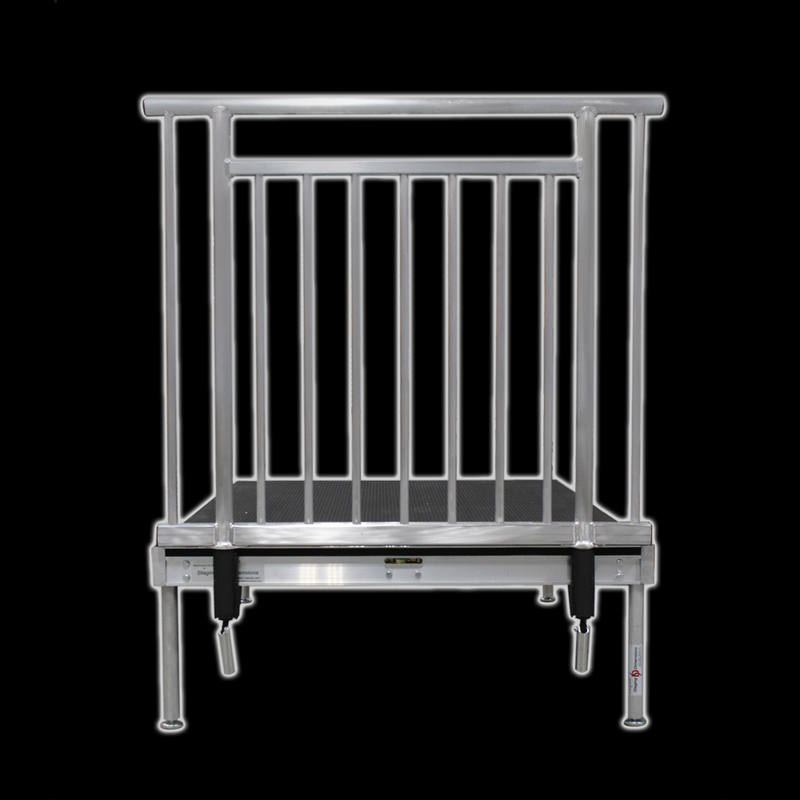 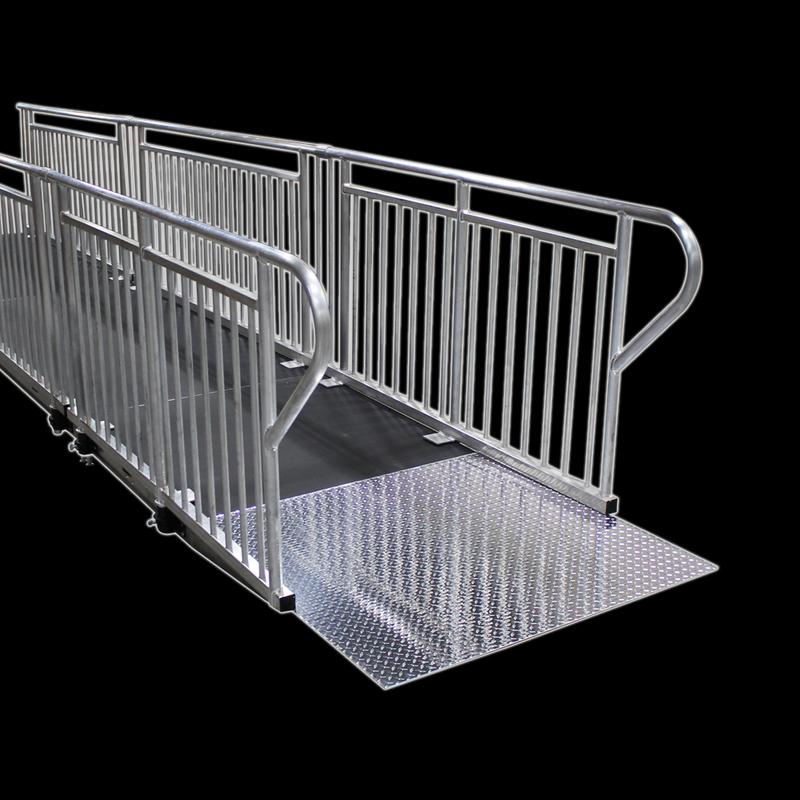 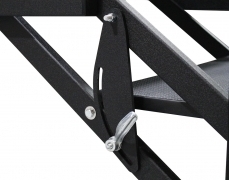 side impact load and install easily with or without handrail. 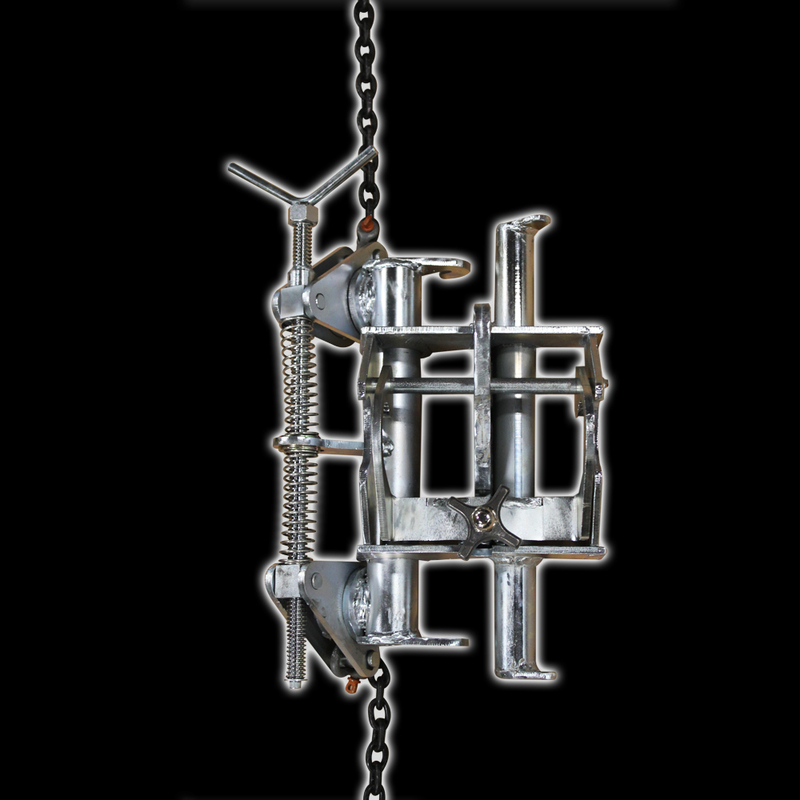 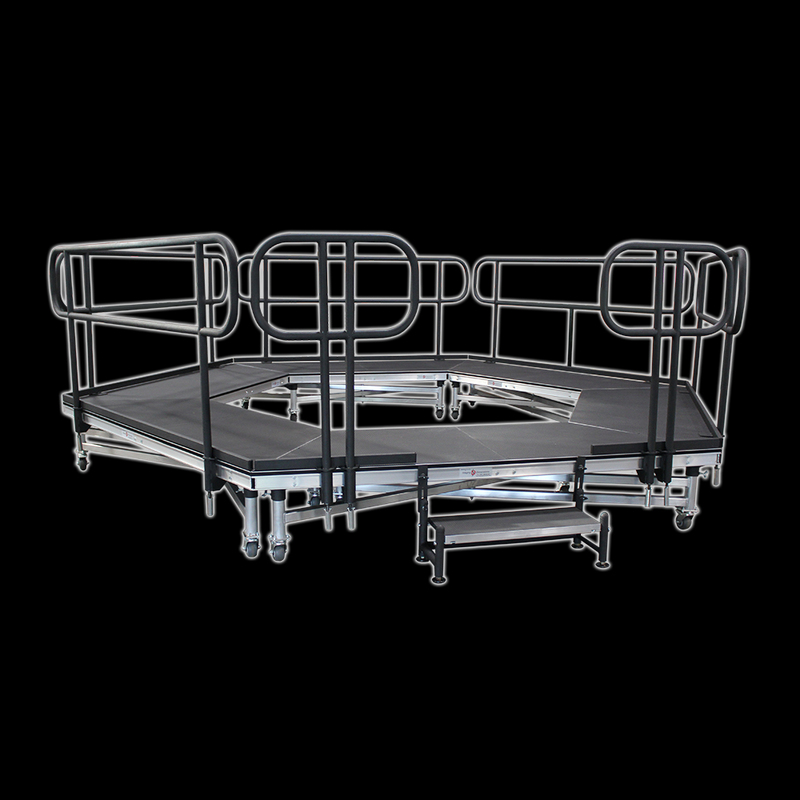 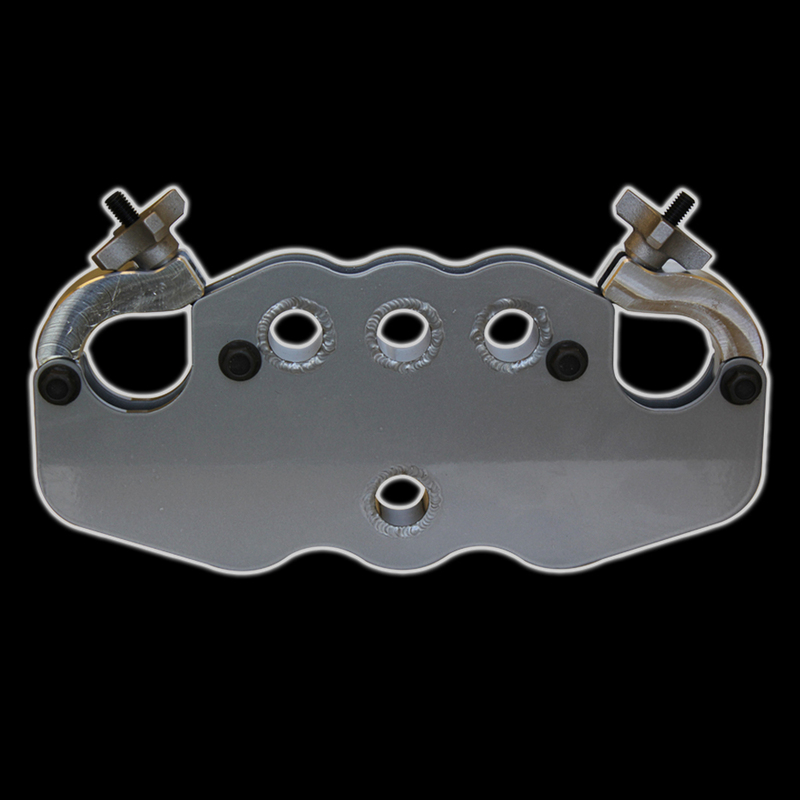 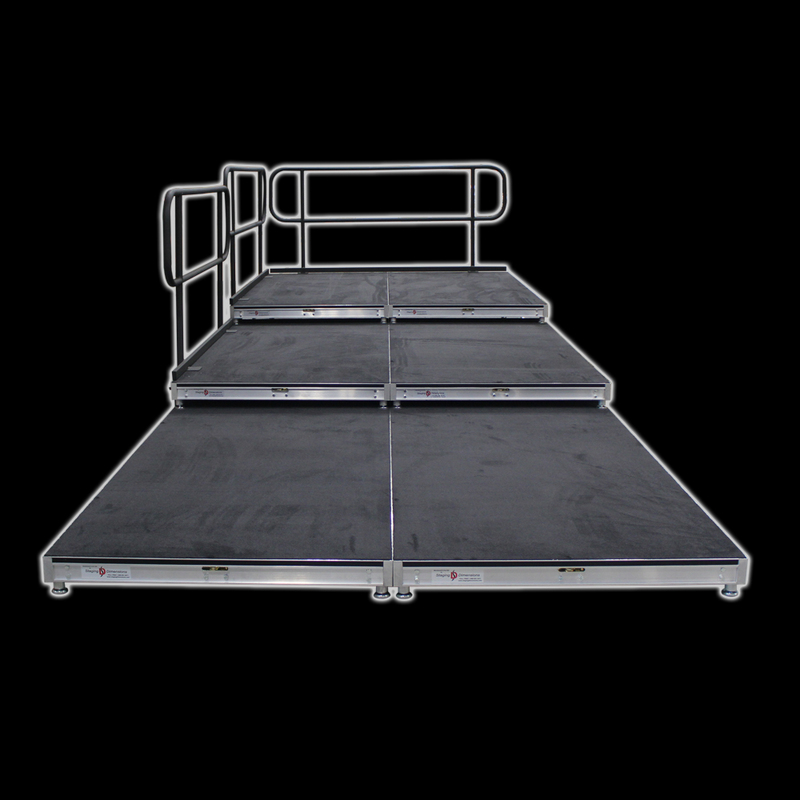 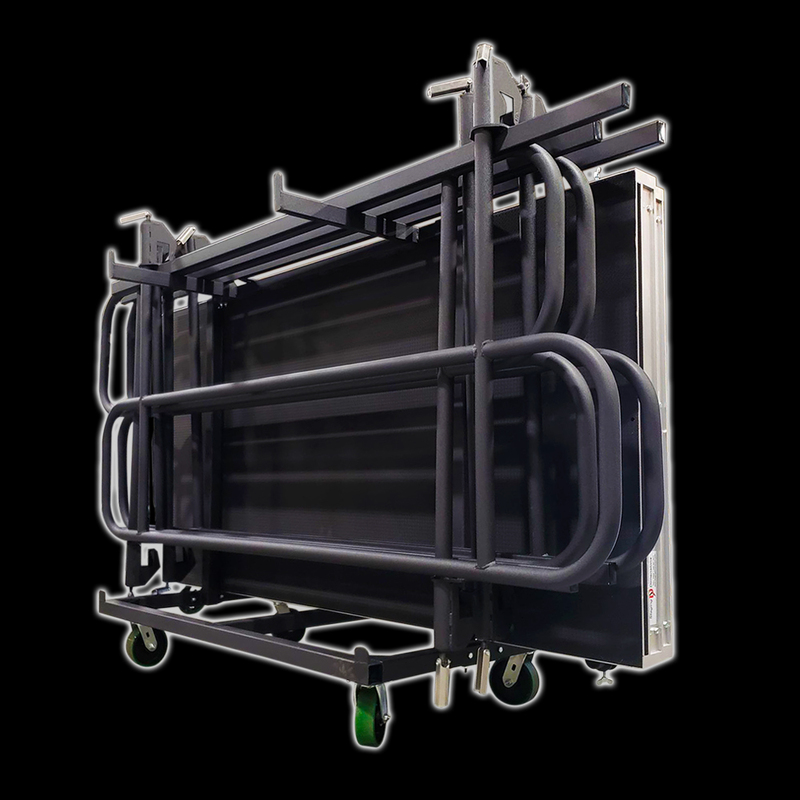 The stairs attach to the stage decks using a self contained, swing-type clamp device which can be customized for use with other stage systems. 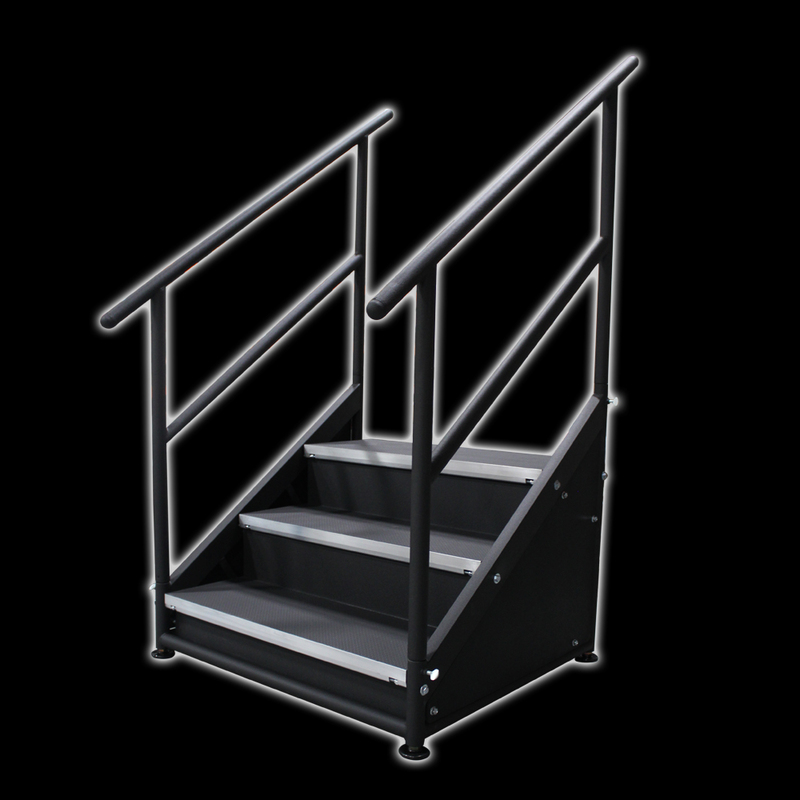 Stair units fold flat for easy storage. 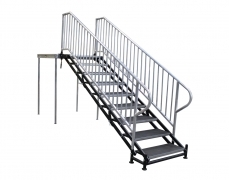 Stair units are available in the standard sizes listed below or can be custom built to your specifications. 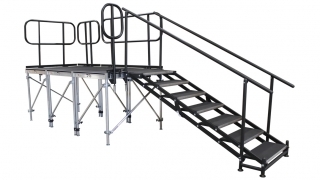 Adjustable height stair units can easily convert to free standing stairs by simply inserting fixed or adjustable height legs into the specially designed receivers on the stair frame. 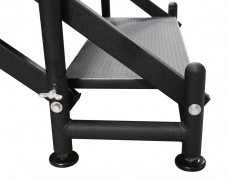 Stair units should NEVER be used without the clamp device tightened.